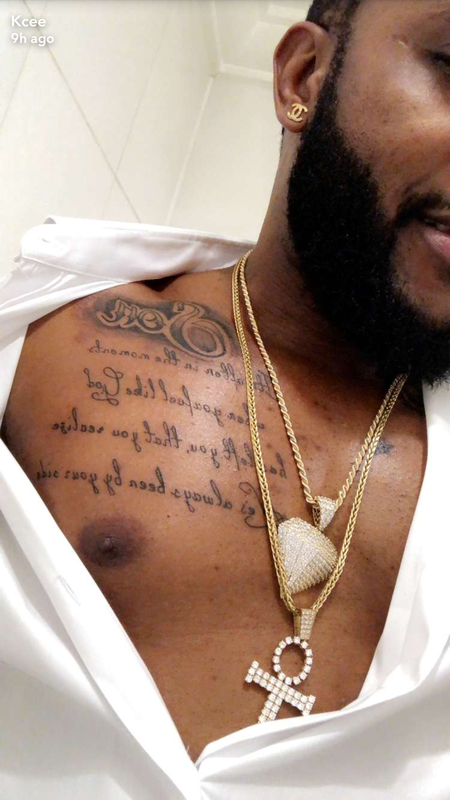 Singer, Kcee who is currently in the UK got homself a new chest tattoo. The singer is no stranger to tattoos had words scribbled on the left side of his chest. 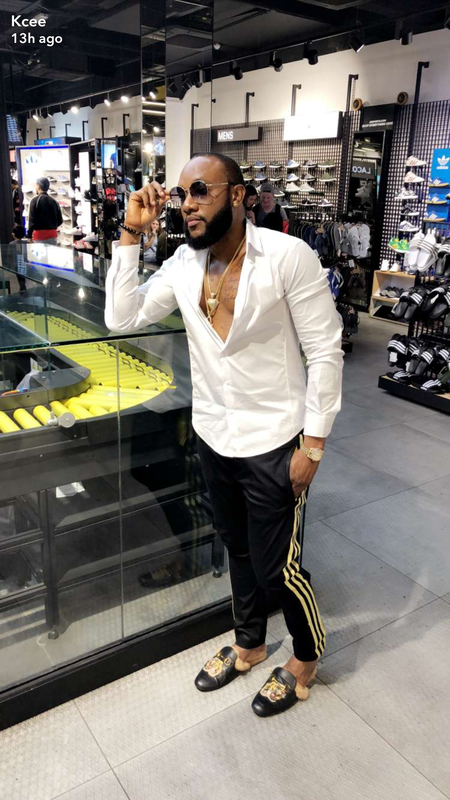 0 Response to "Singer Kcee Shows Off Massive New Chest Tattoo (photo)"